From its onset, Fritz Energy has sought to provide a client-centric service in the consultancy and turnkey services for projects related to the fuel retail market and the supply of biofuels. It is heavily involved in any energy-related services that reduce the overall carbon footprint of the automotive sector. 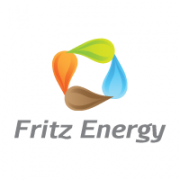 Fritz Energy is supported by competent engineers with significant experience in the sector and collaborates with well-known foreign technology partners that further allow the company to provide a host of services. As the company grows, the Mechanical and Electrical engineering content shall increase to cater for more complex projects and higher service content, enabling it to become a leading engineering firm. With the aim of making Fritz a leading engineering firm, our team keeps itself updated with the latest changes that may have an impact on day-to-day operation within the industry. With over a decade of experience in the sector, the company has attained a thorough knowledge of the element and environment that it works in, which enables workers to come up with a sound strategy that allows clients to keep abreast with the latest technologies we have on offer. This is one of the ways in which we are able to provide our clients with comprehensive and competitive technical and commercial proposals. Training is provided on all aspects of the job, including workshops on how to listen and reach to the client’s needs in a timely, skilful and professional manner. Our excellent after-sales scheme is what sets us apart and finished works are followed up by regular checkups, not only to ensure that everything is running smoothly but to allow continuous re-invention. Our promise to our customers is to offer them A-Z maintenance with regular customer touch time; the client is our number one priority and their satisfaction comes first on our list.